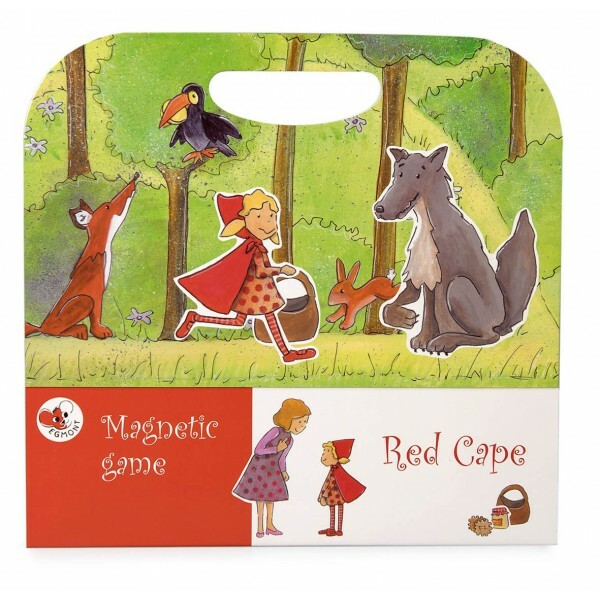 This magnetic game is very easy and practical to take with you wherever you go. The fold-up case with handle opens to form a forest play scene. It comes with a variety of detachable, magnetic pieces to tell the well-known tale of a little girl who goes to visit her Grandma and encounters a wolf. The game with its different characters provides lots of opportunity for imaginative play.